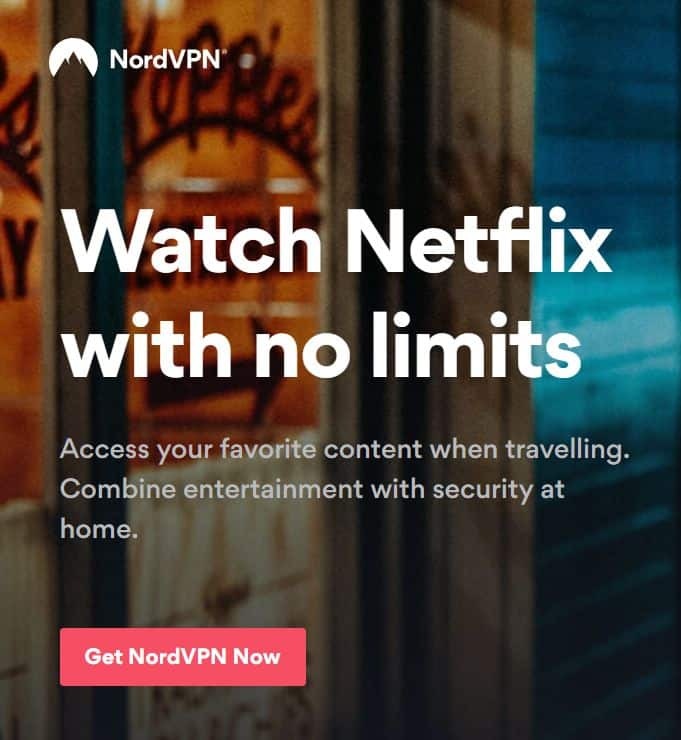 As of April 2019, we are happy to report that NordVPN still works with Netflix. Yep, NordVPN still works with Netflix USA. The quest for the best Netflix VPN continues. The online streaming giant Netflix continues to do its utmost to block all VPN (virtual private network) and SmartDNS services. Both types of services are used to “spoof” your location and make you look like you are based someone else. Netflix’ blockade of these services shattered the hopes of thousands of Netflix viewers who live outside the USA but use VPN (or SmartDNS) services to watch Netflix USA programming. People do this because the Netflix USA catalog is bigger and better, having many more top-rated TV shows, movies and exclusive content. There was a brief uprising by Netflix viewers against the move and more than 36,000 signed a petition in an attempt to compel Netflix to lift the ban. Alas, it was of no avail. The popular streaming company remained adamant and steadfast with its decision. So, what’s a Netflix addict to do? The short answer: use NordVPN to access Netflix USA. But below, we explain all the details. How does Netflix Know Where you are Accessing It From? How does NordVPN Work with Netflix (What's Its Secret)? Whether you’re trying to get on the US version of Netflix from another country, your biggest obstacle is region locks. These are sometimes also called geo blocks or geo blocking. Netflix and in fact most streaming services (and many websites) use your current location to determine the content that’s available to you. And plenty of them, including Netflix, won’t let you use their service at all if you’re not accessing it from the right place. ​Whoops, something went wrong... You seem to be using an unblocker or proxy. Please turn off any of these services and try again. OK, so now you know the problems that region locks can cause you, but how does Netflix figure out your location in the first place? They do this by checking your IP address. Your IP address is a unique set of numbers that’s tied to your computer or any other device connected to the Internet at any given time. It’s this IP address that gives away your location because IP addresses are divided up and handed out by country. So, if you’re in the US, your computer and devices use American IP addresses. And if you’re in Australia, it’s Australian IPs they use. And so on. Tip: Use our handy tool to quickly answer what’s my IP address? Of course, this is a major problem if you want to access content that’s only available in a certain region. Netflix won’t let you access the US version of their service with an Australian IP address, or for that matter any IP address designated non-American. And it's easy for websites to check which IP addresses are associated with which countries. This is how Google and Amazon both direct you to the country website you happen to be in. You may have noticed this when traveling. For example, you tried accessing Amazon.com from an airport in London and instead were automatically sent to Amazon.co.uk. The same concept is at work for region locks and geo blocks. Fortunately, you can change your IP address with something called a VPN which is short for virtual private network. When using a VPN, your web traffic will be routed through a different IP address than the one you usually use. And the best part is, with a VPN you can choose the location of your IP address. For example, you can use a US IP address from the UK. Sometimes a VPN service would even let you choose a location right down to the city! 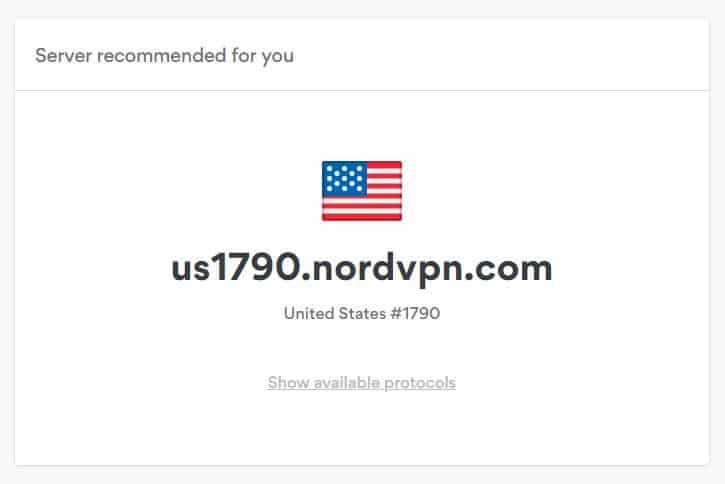 NordVPN lets you pick the country and even city of your IP address. To this day, almost all the prominent Netflix VPN providers have been shut out and blocked from providing access to multiple Netflix regions. The ban covers both big and small VPN providers and those located in the USA or elsewhere. You can confirm this for yourself on Reddit's Netflix VPN subreddit. If you are a Netflix aficionado, you may have lost all hope of ever accessing the larger, juicier Netflix USA TV show and movie catalog. Don't! NordVPN is one of the few Netflix VPN providers (others include ExpressVPN and VyprVPN) that continues to work with Netflix USA. It works because it has 1,924+ servers in the USA alone! 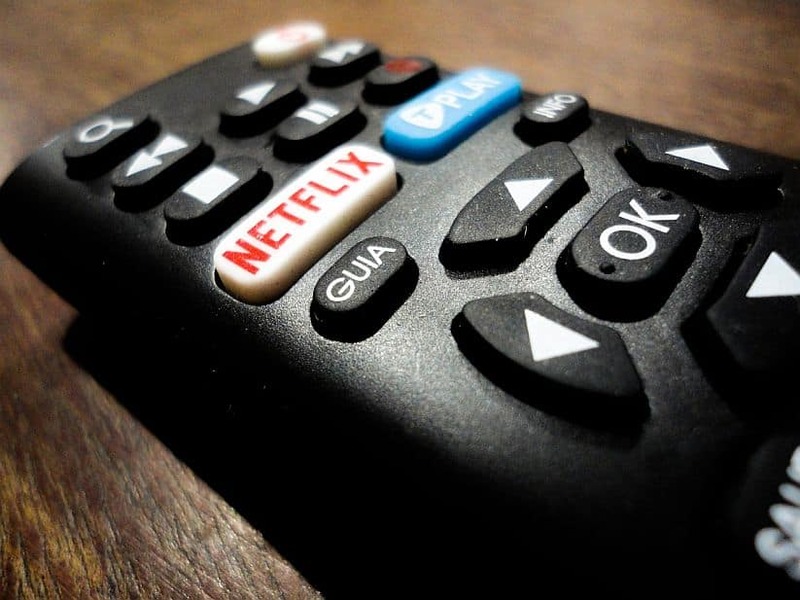 NordVPN works with Netflix thanks to its Obfuscation technology. At this moment, NordVPN can provide you with an unprecedented level of access to Netflix content in the USA. Accessing the Netflix USA catalog has remained the topmost priority of thousands of Netflix viewers worldwide as it has the biggest database of content available throughout the globe, easily trumping a majority of other countries and regions. But you can also use it to access Netflix for markets in the UK, Japan, Netherlands and Canada too, if you like (for example, if there is a show you really like that only airs in that region). Signing up for NordVPN takes only minutes. NordVPN has VPN servers in 61 countries, but most people will be interested in Netflix USA. This means you will want to use one of NordVPN’s US-based servers. 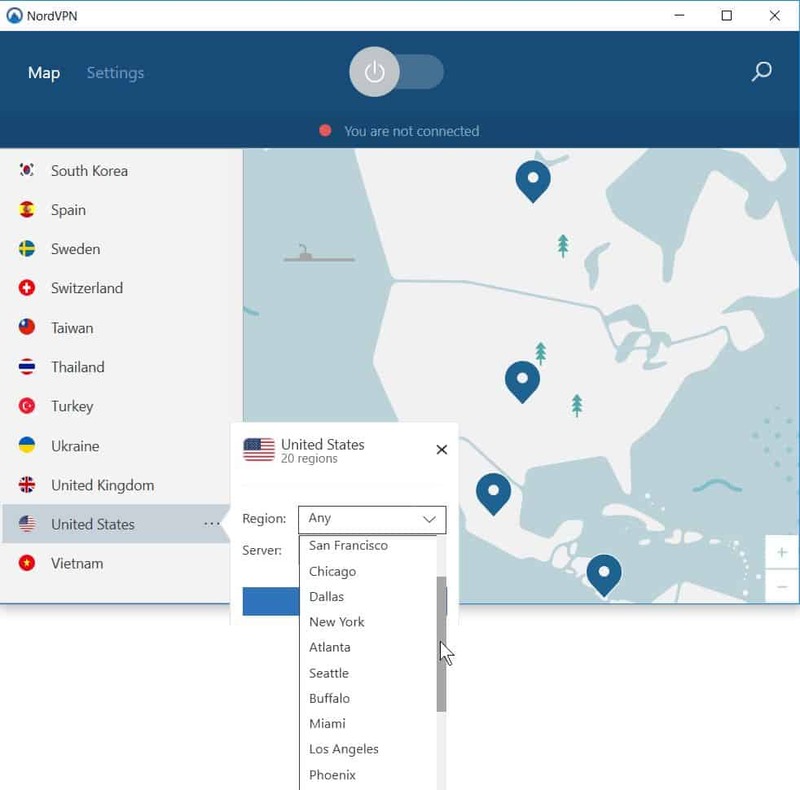 Wherever you may live (or be travelling to), connect to a NordVPN server located in the USA. NordVPN has 1975+ servers in the USA alone, so this won't be a problem. 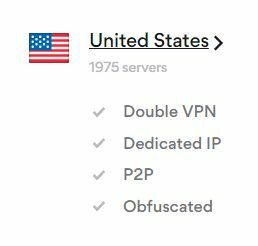 NordVPN has thousands of servers in the US alone. Just one of NordVPN's 1000s of US servers. Keep in mind that Netflix accepts PayPal as a payment method as long as it is available in your (spoofed!) region. Sign up for Netflix USA while connected with NordVPN. Netflix USA’s full catalog is now available to you, no matter where you live or are travelling to. Just make sure you connect to one of NordVPN’s US-based servers whenever visiting Netflix. NordVPN's blog also has a handy guide to the so-called Netflix secret codes, https://nordvpn.com/blog/netflix-secret-codes/. NordVPN continues to have great success accessing streaming sites. This doesn't just include only Netflix, but also BBC iPlayer, Hulu, Sky Go, Sky Go Italy and many many more. OK, but how does it stay ahead of the Netflix VPN blocks? NordVPN uses a proprietary protocol it calls Obfuscation which helps overcome the blocking of VPN traffic through Deep Packet Inspection (or DPI for short). Netflix uses DPI to detect visitors that are using a VPN and then blocks them. DPI is the same technology that countries such as China use to block VPN use within their borders. FYI, NordVPN is based in Panama (so outside US and EU jurisdictions) and currently has an impressive 5,400 servers in operation in 61 countries. You can check out NordVPN's full server list for yourself. NordVPN has avoided the fate of almost all VPN providers blocked by Netflix. And it has been doing so for a long time, so it's clear that NordVPN's techniques are working and that it knows what it's doing! And hopefully things stay that way. 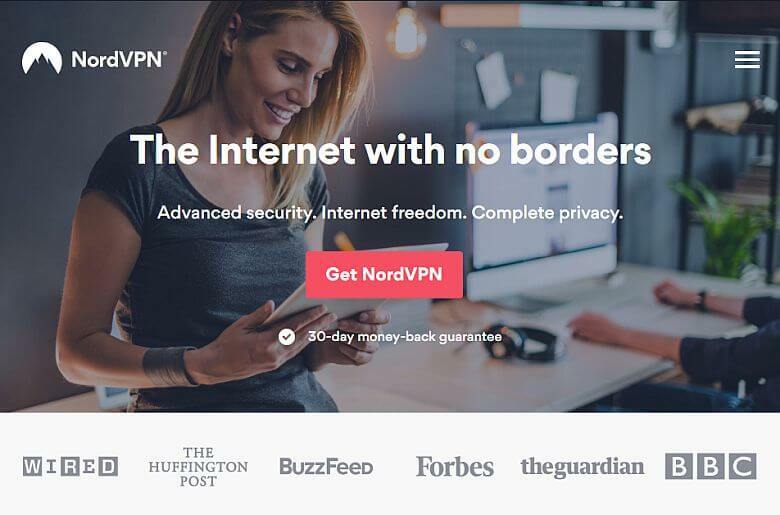 But, there’s no guarantee it will, so it doesn’t hurt to hedge your bets and take a monthly package with NordVPN in case Netflix eventually catches up with this VPN provider too. That said, NordVPN's longer-term discounts are tempting and totally worth it at a very affordable $2.99/month. That's especially true if you will use NordVPN for other activities whether to download torrents anonymously, be safe on Wi-Fi, protect against online tracking or any of the other estimated 36+ uses of a VPN. All signups include a 30 day full money-back guarantee if you are not satisfied for any reason. NordVPN has apps available for Windows, Mac, Android and iOS, so you can access Netflix USA on any device your heart desires. Should you encounter issues accessing Netflix with NordVPN, don't panic. First, read their always up-to-date knowledgeable article, How to securely watch Netflix with NordVPN. In the unlikely event that the advice there doesn't work, contact their support and their technicians will give you the latest information on how to access Netflix USA. Usually, it's simply a matter of joining a specific NordVPN server in the US. 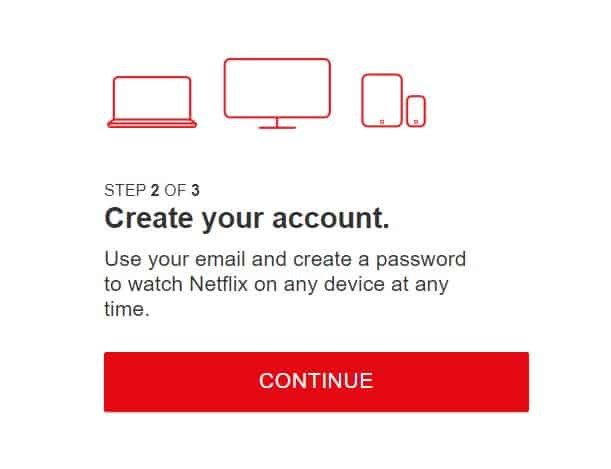 Above, we walked you through the steps for accessing Netflix USA (or elsewhere) using NordVPN. They key is that NordVPN still works with Netflix in April 2019, while almost all other VPNs don’t. But when using NordVPN as your Netflix VPN, you might want to sign up for a month-to-month subscription in case it too gets the chop from Netflix. Do you need any more reasons to get NordVPN for Netflix? We didn't think so. Home » VPN » Best VPN for ... » Best Netflix VPN: Which VPN Still Works with Netflix?